Though his music was first heard on Broadway in 1963, Harvey Schmidt had already become a fixture three years before for composing the music for The Fantasticks, the musical that never hit Broadway but that ran for forty-two years at the Sullivan Street Playhouse in New York, from 1960 to 2002. 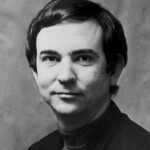 With his longtime collaborator and lyricist, Tom Jones, Harvey Schmidt first came to Broadway with 110 in the Shade, a musical based on the play, The Rainmaker, by N. Richard Nash. Jones and Schmidt were nominated for a Tony® in 1964 for best words and music. Harvey Schmidt paired up with Tom Jones again in I Do! 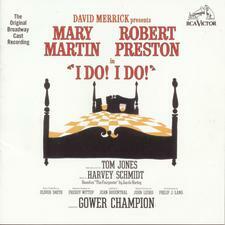 I Do!, the 1966 musical adapted from Jan De Hartog’s The Fourposter. 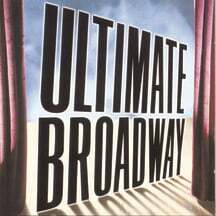 The intimately scaled work, which included only one set and two actors, was Schmidt and Jones’s most successful foray into Broadway, with a production starring Robert Preston, who won a Tony® for his performance as Him, and Mary Martin, who garnered a Tony® nomination as Her. Schmidt and Jones’s last work on Broadway was a musical entitled Celebration. The production ran for 109 performances in early 1969. They continued to work together off Broadway, creating such works as Colette (1970), Philemon (1973), Mirette, Grover’s Corners (based on Thorton Wilder’s play, Our Town), and, most recently in 2002, the off-Broadway musical, Roadside.